#18 IA-MN-SD: Map courtesy of Greg Weiler. #5 ID-MT-WY: Jack Parsell at the tri-point on July 29, 1997. 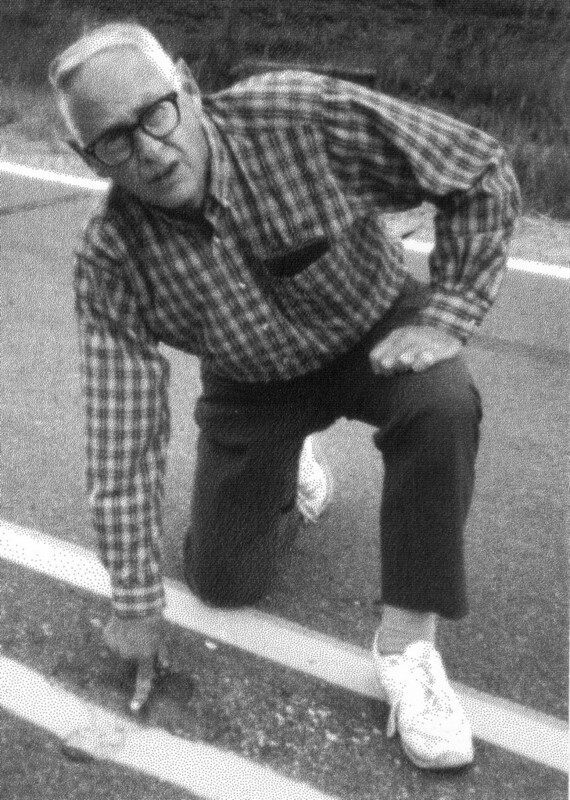 #18 IA-MN-SD: Clark Hall points to the marker pin in the middle of the road intersection, after looking both ways, of course.